Historical optimization means updating and optimizing your "old" blog content so it's fresh, up-to-date, and has the ability to generate even more conversions and organic search traffic than it already does. We've more than doubled the number of monthly leads generated by the old posts we've optimized. We've increased the number of monthly organic search views of old posts we've optimized by an average of 106%. 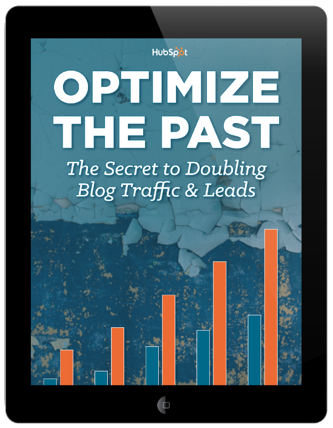 This ebook covers why historical optimization is such a game-changing tactic, and how you can follow our historical optimization playbook to achieve awesome results like this, too.